Here at Most Curious HQ, we ladies get particularly excited when one of our luscious exhibitors drops a new collection - especially when it features an iconic design we have previously drooled over. 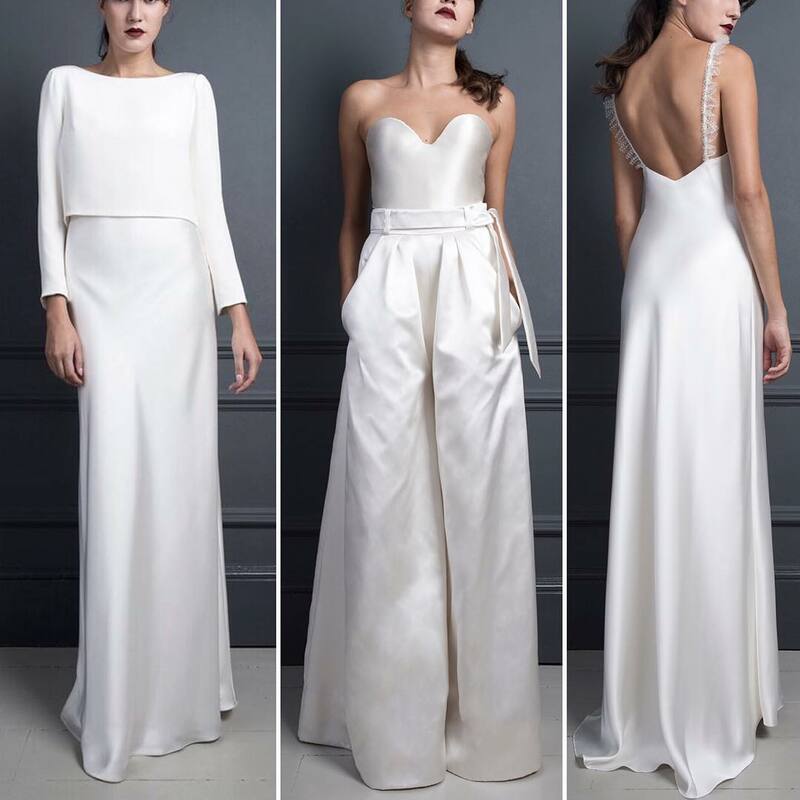 Favourites and kind sponsors, HALFPENNY LONDON, the fairytale creation of designer and entrepreneur Kate Halfpenny, have just launched their A/W 17 bridal collection "Standing on Stardust" and we are most definitely seeing stars. Inspired by the dancefloors of the hedonistic club scene of 1970's NYC, "Standing on Stardust" features powerful retro silhouettes combined with their signature intricate embroideries. 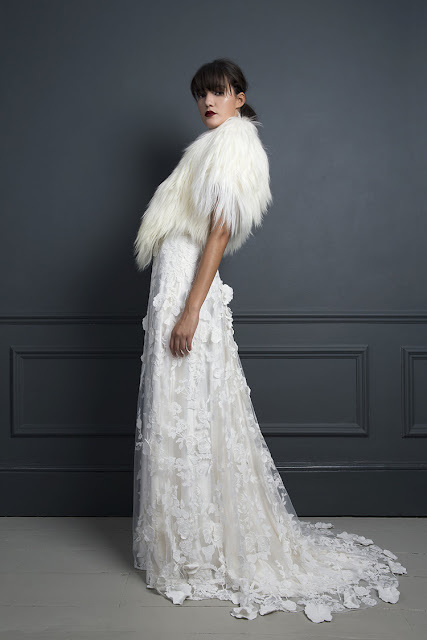 Maribou feathers cascade delicately down a layered floor length skirt, duchess satin wide leg trousers pair perfectly with a structured sweetheart corset, a sheer lace dress fit for a Prairie girl is California-dreamy while a shaggy Goat fur coat wraps up warm. 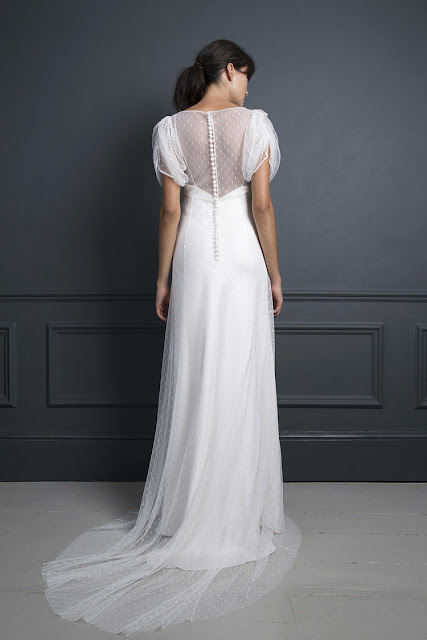 We are particularly crushing on Halfpenny's 'Kate Moss Dress', based upon the beautiful dot lace gossamer number Kate Halfpenny designed, in four colours no less, for Moss to debut at Mario Testino's 60th birthday party. 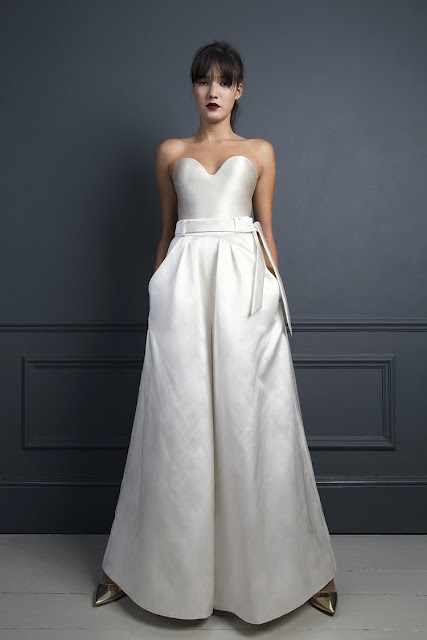 A white version, with optional satin slip, can now be worn down your very own catwalk *cough* aisle. With soft puff sleeves, covered buttons and a bias cut skirt, the 'Kate Moss Dress' is a perfect contemporary take on 1970s-referencing-1930s goodness. And if it's good enough for Kate, it's sure as hell good enough for us! You can come browse Halfpenny's new collection yourself at the Old Truman Brewery in the heart of Shoreditch next month at the London leg of our Fair. TICKETS are still available whilst stocks last.